Specialized amenities of the site of a commercial property such areas gazebos or remote washroom facilities or covered picnic areas or playgrounds or anything else of a recreational nature are very much treated just the same as the rest of the property. As these amenities, have been installed for a particular reason or purpose and hold a certain value, they need to be visually observed and assessed by the inspector and reviewer and their condition reported upon and any associated maintenance or replacement costs tabulated. Specialized site amenities can be very individualized or one of a kind sometimes and may create an issue when forming an opinion of the maintenance or repair costs. In lieu of standardized publish cost data some custom system and amenities being inspected and reported upon will have to be individually costed with manufacturer input. 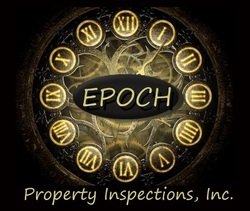 As a with any building system commonly found on a commercial property routine inspection and condition assessment followed by application of proper maintenance materials and techniques is of utmost importance in ensuring the longevity of any specialized site amenities, especially if they are one of a kind. Examples: sidewalks, brick pavers, plaza areas, impervious surfaces, depressed curbs, truncated domes, permeable pavers, pathways, stairs.